The biggest stock market crashes in history. Financial crisis and stock market crashes. Every day, stock market newspapers and financial media are filled with wild speculation about the next big crash. Here is a list of the biggest stock market crashes of all time. 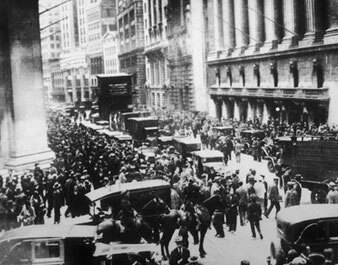 In this article, we show you the biggest stock market crashes of all time and try to find clues out when and how the next stock market crash could arise. In addition, we provide statistical characteristics of stock market crashes. Can we learn from the historical development in the stock market? 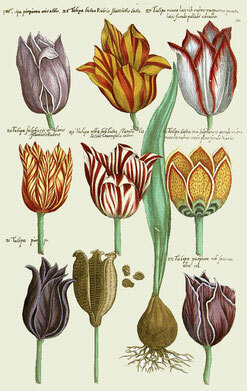 In 1637, a tulip bulb in the Netherlands cost up to 10,000 guilders, about 200,000 euros after today's value. In the following picture you can see a black board of a Dutch tulip grower, which showed the shape and color of the expected tulips. This was necessary as speculators already traded in tulips that did not actually exist and had to grow first. 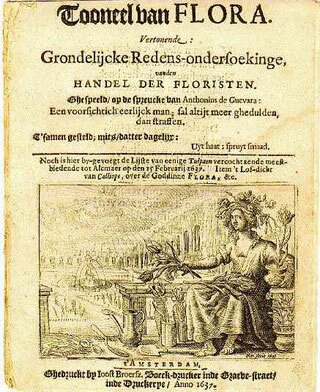 Right next to it a flyer, which advertises an auction of florists for tulips in 1637. Die Tulpenmanie in den Niederlanden war die erste aufgezeichnete und nachgewiesene Börsenkrise. Im Goldenen Zeitalter Niederlands wurden die Zwiebeln von Tulpen zum Spekulations-Objekt. Tulpen waren zu diesen Zeiten immer schon ein begehrtes Sammlerstück, deren Anbau vor allem in höheren Schichten der Bevölkerung ein Muss war. Am Ende des 16. Jahrhunderts kam es zu immer stärkeren Tauschhandel Aktivitäten. Eigentlich wurden die Tulpen in den Sommermonaten gehandelt und deren Zwiebel auf Spotmärkten verkauft. Da die Händler sich nicht auf diese kurze Periode im Jahr beschränken wollte begann man auch auch noch nicht vorhandene Zwiebeln zu handeln. Das heißt das Käufer auch Zwiebel erwerben konnten, die noch gar nicht real existierten. Hierzu erhielt man einen notariell beglaubigten Papierstreifen, der einem das Recht einräumte den Zwiebel der entstehen sollte später zu erwerben. Die Zahlung wurde dann fällig, wenn die Zwiebel aus der Erde genommen wurde. Das war der Moment als der Tulpenhandel zur Spekulation wurde, denn niemand konnte vorhersagen, wie die Tulpe aussehen wird und ob diese in der nächsten Saison überhaupt blühen würden. 1634 war der Tulpenmarkt nicht bei Liebhaber begehrt. Nun wühlten sich auch Spekulanten am Markt, die ausschließlich an der Wertsteigerung der Zwiebeln interessiert waren. Die Zwiebeln wurde meistens auf Auktionen verkauft, eine Tulpenbörse in dem Sinn gab es nicht. Die Preisbildung der Tulpen ist nicht ganz belegt aber es gibt gewissen Hinweise, die das unglaubliche Ausmaß dieser Spekulationsblase erahnen lassen. Die teuerste Tulpe zur damaligen Zeit war die "Semper Augustus". Sie gehörte einem Amsterdamer Bürger namens Adriaan Pauw und alle 12 Tulpen standen auf seinem Gut. 1623 kostete jede dieser Zwiebeln 1.000 Gulden. Das entspricht etwa 20.000 Euro nach heutigem Vergleich. 1633 war dieser Preis auf 5.500 Gulden gestiegen. Bei einem durchschnittlichen Monatseinkommen von 150 Gulden - ein unglaublich hoher Preis. 1637 wurden für drei dieser Zwiebel 30.000 Gulden geboten. Unglaublich wenn man bedenkt, dass die teuersten Häuser in Amsterdam zu diesem Zeitpunkt 10.000 Gulden kosteten. Den Höhepunkt erreichte die Spekulation 1637 in Alkmaar. Hier veranstalteten Rektoren des Waisenhauses eine Versteigerung. Insgesamt wurde dabei ein Erlös von fast 100.000 Gulden erzielt. Nach dieser Auktion zerplatzte die Blase. Bei der nächsten Auktion in einem Wirtshaus waren die Preise so hoch angesetzt, dass keiner der Anwesenden auch nur eine Tulpenzwiebel kaufte. Da es keine neuen Käufer in die steigende Preisspirale gab, nahm das Schicksal unaufhaltsam seinen Lauf. In den folgenden Tagen fiel der Preis der Tulpen um 95%, da die Händler Angst hatten ihre Tulpen nicht mehr los zu werden. Aus marktrationalen Erklärungen geht hervor, dass zu dieser Zeit außergewöhnlich viel geld zur Verfügung stand. Das ist auf die Pest und die Geldpolitik der Amsterdamer Wechselbank zurückzuführen. Außerdem war es 1628 den Niederländern gelungen eine spanische Silberflotte zu kapern, was ebenfalls zu einer erhöhten Verfügbarkeit von Geld führte. Dieses konnte nun spekulativ eingesetzt werden. Probably the most well-known example of a horror crash is October 24, 1929. After strong rises in the Dow Jones Index, a mass panic broke out. All investors tried to sell their shares at the same time. 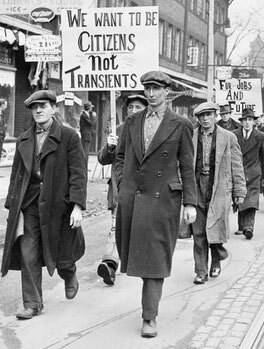 This day is considered as the trigger of the Great Depression from 1929 to 1932. The following pictures show the mood that prevailed in New Yorkers streets during that day. 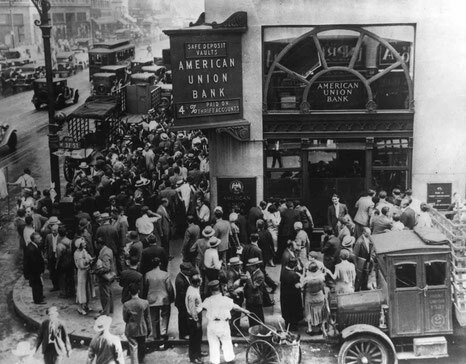 Unemployment, people storm the banks and empty stock exchanges still months after the crash are shown. 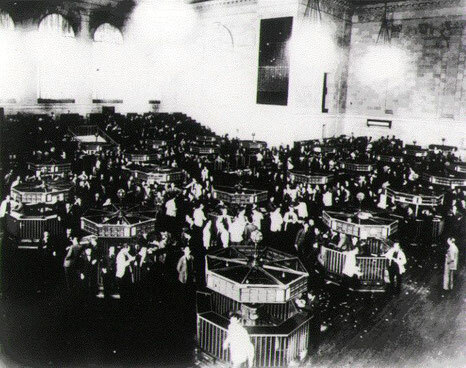 The stock prices fell after 24 October 1929 for another 3 weeks. Until 19th November, when the prices of stocks seemed to be stable again. Now many speculators entered the stock market again to buy the high-risk stocks cheaply. Then followed the second shock wave. The prices fell again strongly to the level of 1896, at 41 Dow Jones points. The same level of the first publication of the Dow Jones index. The consequences of this melt-down were dramatic. Countless companies that covered their debts with their own shares were bankrupt and had to close. The result is a high unemployment and a lack of trust in the stock market. The gross national product collapsed by 28%. The economy took years to recover, until 1954, when the Dow Jones reached a new high. 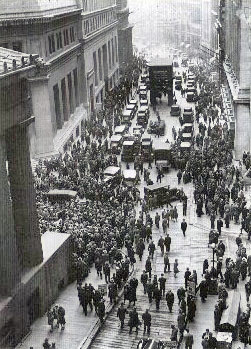 The Black Monday was the first real stock market crash after World War II. On October 19, 1987, the Dow Jones fell 22.6% in just one day. This decline has been the highest loss in the Dow Jones since its inception. This downturn quickly spread to the whole world. Australia lost 41%, Canada 22.5%, Hong Kong 45.8% and Great Britain 27%. The causes of this stock market crash are controversial. The Dow Jones had doubled in just two years before the crash. Reagan failed to cope with the trade deficit and rising US Federal Reserve interest rates contributed to market uncertainty. But not only tensions in the economy caused an overheating of the stock market. The new computer technology led to the automatization of the stock market. Because of the automation trading orders were executed automatically and thus a kind of domino effect appeared. The hedging strategies in the automated trading systems of the big institutional investors acquired automatically short positions. So the systems have automatically sold stocks and immediately bet on falling markets. As a result, the fall in share prices accelerated further. The picture above shows the price of the S & P500 around the days of 19 October. On October 14, the trade deficit became visible under Reagan. 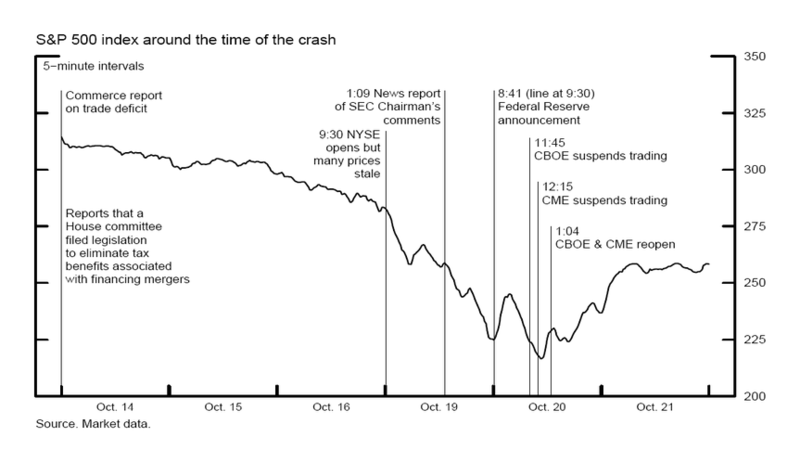 The result was a day-long sell-off culminating on October 19, when the chain reaction of computer-controlled strategies began. During the internet or dot-com crisis, investors and speculators expected extremely high profits in the new economy. The Internet and mobile phones promised market participants fast growth and unlimited revenue. 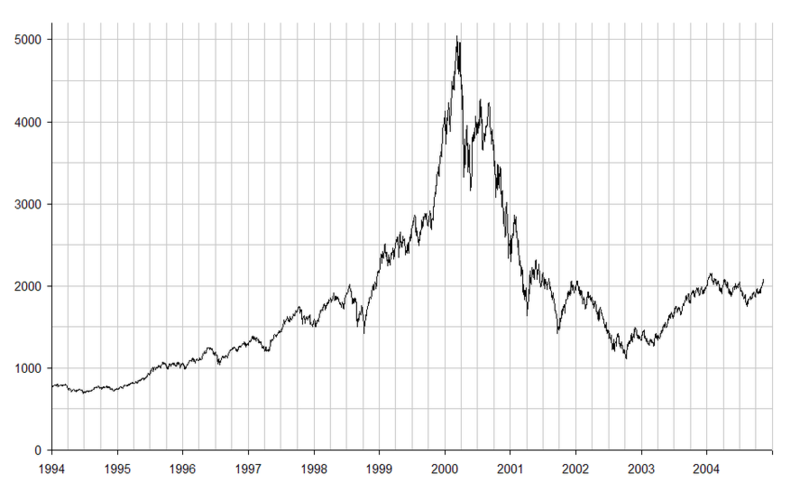 The following chart of the NASDAQ shows the price development around the year 2000. The dotcom bubble is a stock market crisis that occurred in 2000. In this crisis, especially stocks from internet companies suffered. This crisis brought large losses to small investors worldwide. Investors hoped to invest in fast-growing Internet companies that would use new technologies to make quick profits. High profit expectations and the spread of the Internet, mobile phones and handheld computers led to a spirit of optimism. Starting from 1995 a startup wave could be observed, which consisted of companies, which wanted to go on the stock exchange as fast as possible in order to benefit from the Internet hype. Investment funds also entered the New Economy with large sums. The hope for future profits was so high that investors completely ignored the actual fundamental position of the companies. Finally, they speculated on fast growth and ignored missing profits of the companies. Especially the speculation on initial public offers became a popular sport and every stock that came on the market was bought directly blind. An example of the exuberant appetite for spending is the IPO of Infineon stock, whose initial offers led to the collapse of the trading system of the Frankfurt Stock Exchange due to the enormous demand. At the beginning of 2000 it became clear that the incredibly high profit expectations could not be fulfilled. Doubts grew louder, and in March 2000, prices began to decline. This turned into a sell-off and the market collapsed completely. During the boom, companies acted criminally and displayed fictitious business and non-existent earnings in their annual reports. In addition, companies tried to push the stock prices by fake ad-hoc messages. As a result, countless Internet companies slid into insolvency and confidence in the Internet industry was disturbed for years. The US central bank has responded with a rate cut to stimulate the economy, which will eventually be one of the factors in the next real estate crisis in 2008. The last significant stock market crisis hit the world in 2007/2008. The "Subprime-Crisis" was a global stock market crisis that had its origins in the overvalued US real estate market. On 9 August, interbank finance loans jumped in prices. Interbank finance loans are loans granted among the banks. (The lending business with the central bank is not part of the Interbank business). As a result companies in the financial sector slipped into bankruptcy. The highlight of the bankruptcy was probably the downfall of the US bank "Lehman Brothers". 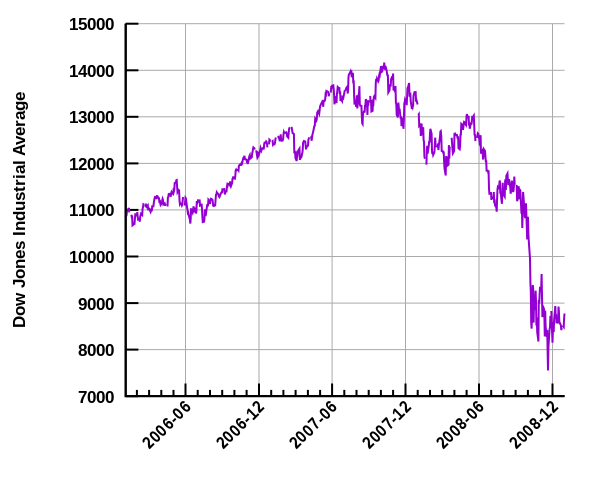 The following chart of the Dow Jones around the year 2007 illustrates the magnitude of the crisis. The most important American stock index has lost almost 50% of its value as shown in the image below. How could it happen that such big banks ("too big to fail") suddenly became insolvent? The rise of real estate prices also increased the solvency of debtors. The banks therefore used the higher prices of the real estates for the further granting of loans. If the banks would have retained the credits and the associated credit risks, banks would have had to increase their own equity in accordance with the Tier 1 ratio. To circumvent this, rating agencies declared these loans as first-class investments and these seemingly secure assets could now be sold throughout the world without raising the banks own equity. 2005 the real economy underperformed and debtors were no longer able to pay the loans and sold their houses. The consequence was the collapse of real estate prices. The loss of these loans impacted the banks' balance sheets and banks were forced to sell assets and, if that was not enough, to go bankrupt. The other causes of the financial crisis are discussed controversially. As already mentioned, the excessive price development of the real estate was the main cause of the crisis. Other factors included rising income inequality, high savings, low interest rates and the role of rating agencies. The financial crisis had extensive consequences for the economy. Industrial production was down by 20% and it is even assumed that the 2007-2008 hunger crisis is linked to the global financial crisis. This is because speculators invested in staple foods, driving up prices for milk, wheat, corn and soybeans. This resulted in a 40% increase in food prices in developing countries. The price of grain even increased by 238%. The stock markets are currently in a party mood. The Dow Jones and DAX hurry from one high to the next. However this optimistic mind set worries the experts. The current P/E ratio of the S&P 500 stocks is 24. P/E stands for price-earnings ratios and is an established measure of how cheap or expensive stocks are. The value of 24 is thus quite high compared to the historical average of 14. Any comparison with real market data makes clear how heavily overvalued stocks are currently. For this purpose, the editors of fairvalue-calculator.com have established the market watch. The comparison of GDP (gross domestic product) and the volume of shares shows that we are currently in a very overheated stock market. The comparison also shows a strong overvaluation, which makes a correction in the 50% range possible. So the real economy lags behind stock market values. In the following image you see the historical P/E ratios of the S&P500. Does the Value Strategy beat the market? The stock market seems greatly overvalued by the comparison of gross domestic product and P / E. For this reason, the editors of the Fair Value Calculator currently do not recommend the purchase of stocks. A correction of 50% of the total market must be assumed. At regular intervals, we write blog entries about stock analysis and the stock market. Do you like this article? Leave us a comment.